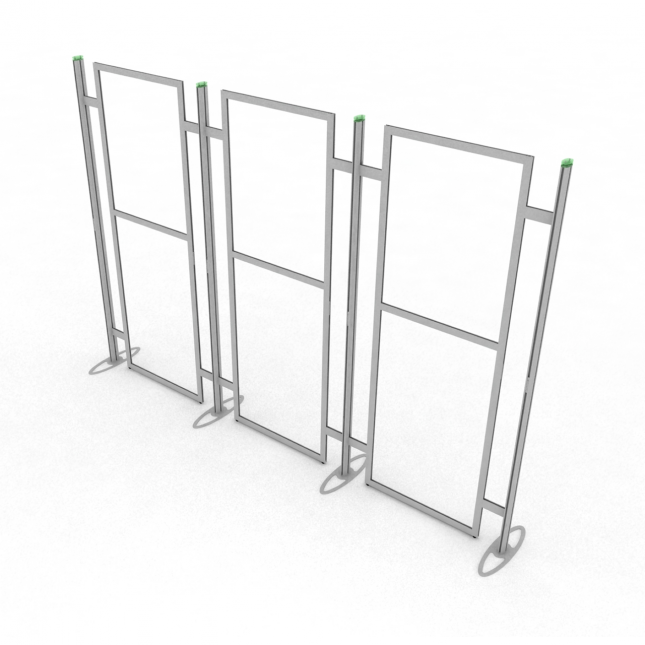 The Metrolite Modular Display ML5 is high quality and striking three panel graphic display stand with stylish aluminium uprights. 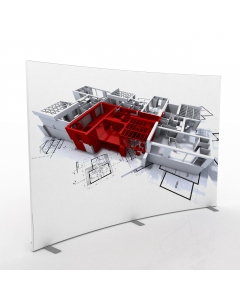 The aluminium frame is designed to be a self build system and you simply and easily apply rollable graphics using magnetic tape. 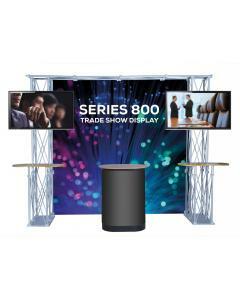 The Metrolite Modular Display systems are perfect for creating striking, lightweight graphic displays, providing an easy to assemble, modular solution. 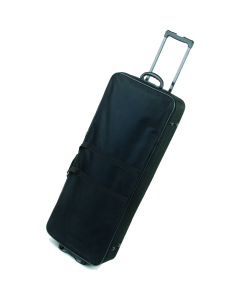 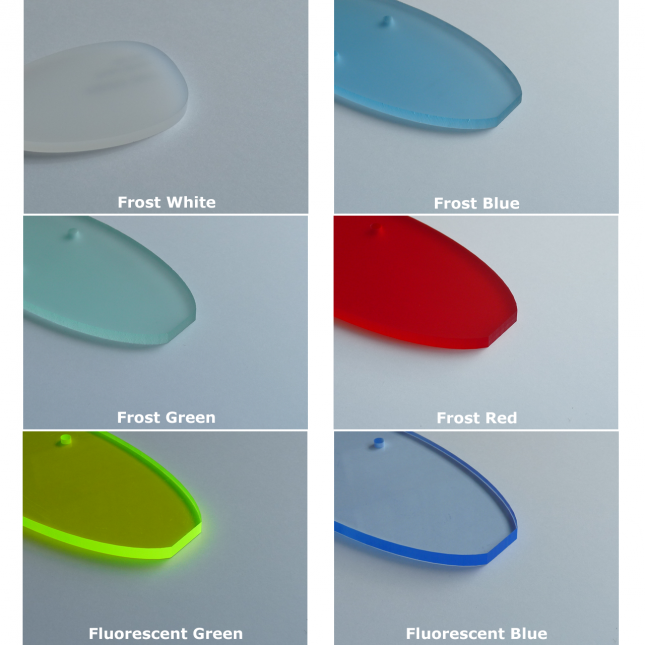 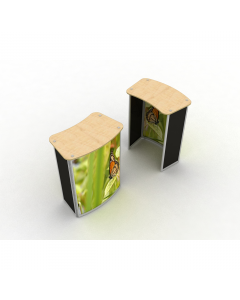 It comes with a choice of coloured acrylic tops for each vertical post. 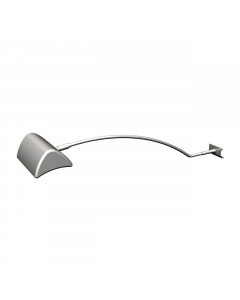 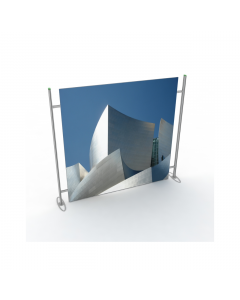 The Metrolite Modular Display system uses 65mm elliptical aluminium profiles which have been specifically designed to reduce weight and maximise stability. 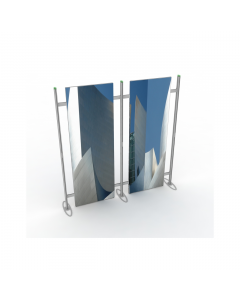 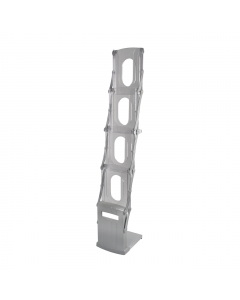 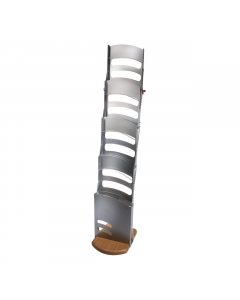 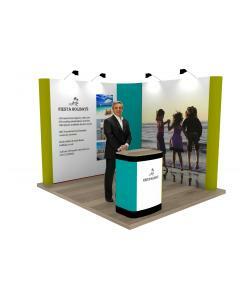 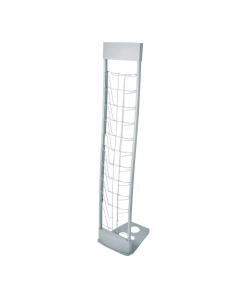 Due to the modularity of Metrolite, the exhibition display stand can grow with you and your products, with Metrolite offering dimensions of 1100mm wide up to 2945mm. 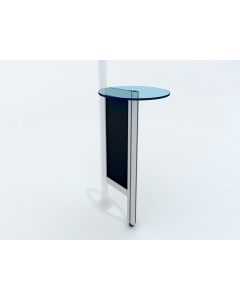 There are also a range of accessories that can be added to your display, such as the Metrolite Poseur Table further enhancing these high quality self build exhibition stands. 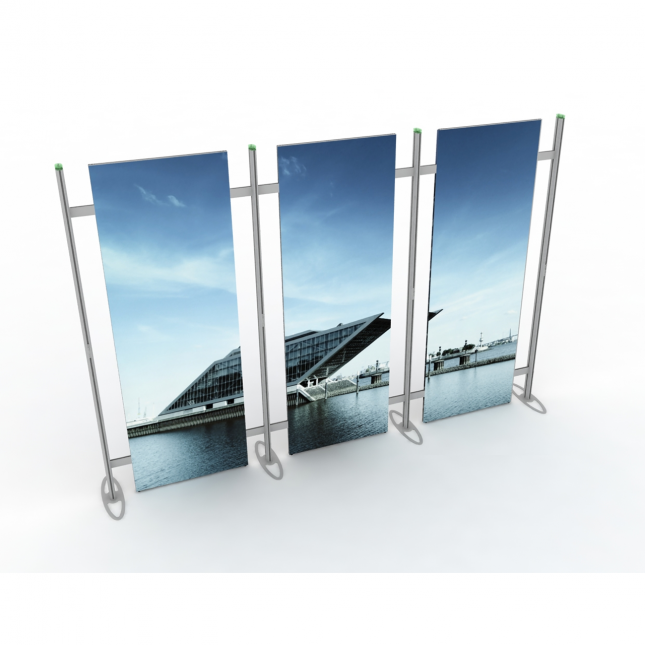 As and when your business requires it you can either update your display with new graphic panels from as little as £65 per panel or enlarge the display by adding on the ML7 Metrolite Modular Display kit. 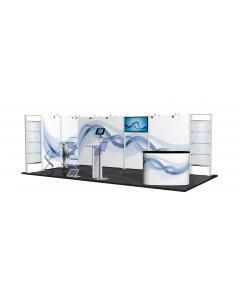 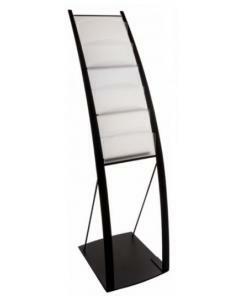 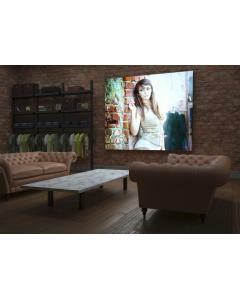 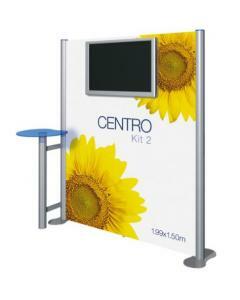 Why choose the ML5 Metrolite Modular Display? 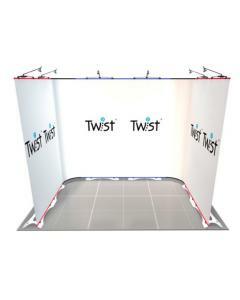 Graphics: Includes three high quality rollable graphics with magnetic tape for fixing to the framework.